Dr. Rachel Rensink-Hoff is Director of Choral Activities and Assistant Professor of Music Education at Brock University and Artistic Director of the Avanti Chamber Singers. Former conductor of the McMaster University Choir and founder of the McMaster Women’s Choir, Dr. Rensink-Hoff completed her Doctorate and Master of Music degree at Western University, pursuing additional studies at the Eastman School of Music Conducting Institute, the Voice Care Network of St. John’s University, Minnesota, and the University of Toronto. She has engaged in masterclasses under conductors Helmuth Rilling, Joseph Flummerfelt, Anton Armstrong, Dale Warland and the late Sir David Willcocks. Vice-President of Programming for Choral Canada and Past-President of Choirs Ontario, Rachel Rensink-Hoff is the 2014 winner of the Leslie Bell Prize for Choral Conducting awarded by the Ontario Arts Council. In 2015, her McMaster Women’s Choir was awarded first prize in the National Choral Competition for Amateur Choirs of the CBC and Choral Canada and was nominated for the Excellence in Teaching Award at McMaster University. Rachel works frequently as adjudicator, conference presenter and workshop clinician locally and across Canada. She has given international presentations at the National Conference of the American Choral Directors’ Association in Minneapolis and the World Symposium on Choral Music in Barcelona. As guest conductor, she led the 2018 Nova Scotia Youth Choir and returned to Nova Scotia this past summer for their Sing Summer choral program. She looks forward to her engagement with the Toronto Mendelssohn Choir’s Singsation Saturday series in April and the New Brunswick Choralfest next September. Ms Kingham holds a BMus from the U. of Western Ontario (gold medal in pipe organ performance), and a MMus from the U. of Notre Dame (Indiana). She is the regular rehearsal and concert accompanist for Avanti Chamber Singers, and was formerly organ and keyboard instructor as well as staff accompanist at Brock University. In addition she is organist and music director at St. Thomas’ Anglican Church in St. Catharines. Ms Kingham also maintains a private music studio, specializing in piano, and continues to accompany widely as both pianist and organist throughout southern Ontario. Dr. Harris Loewen (DMA, U. of Iowa) is Associate Professor in the Department of Music at Brock University where he has conducted the university choirs, and taught conducting and choral methods since 1987. He is founding conductor of both the Niagara Vocal Ensemble (1991) and Avanti Chamber Singers (2006) and has conducted a variety of other community choirs in southern Ontario. Dr. Loewen has performed extensively as a professional chorister (e.g. 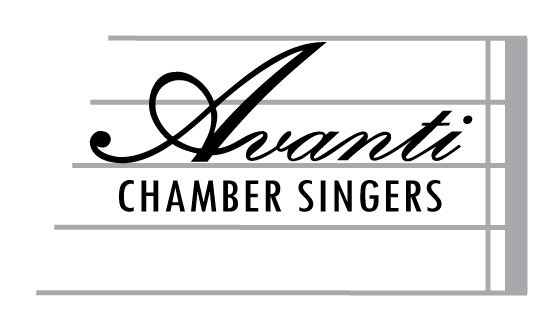 Vancouver Chamber Choir, CBC Hymn Sing, Elora Festival, Oregon Bach Festival), and also continues to perform as a baritone soloist (classical and jazz). In his spare time, he has written vocal and choral music for television and a variety of other commissions, and has occasionally served as a choral adjudicator and workshop clinician.